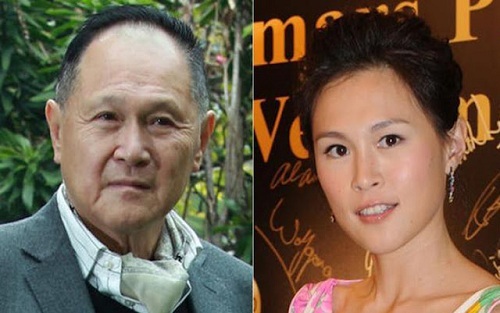 Billionaire Cecil Chao who is the owner of Cheuk Nang Holdings Ltd., has been offering a grand sum of money to any man that is able to convince his daughter to marry them. You may think that someone would have already claimed this prize by now but the reasons why 20,000 responses have failed to answer this call is because of one simple fact. Upon the failure of these responses, Chao has graciously increased the ‘dowry’ for a man that is able to sway Gigi, Chao’s daughter, who has already been in a lesbian civil partnership for over a decade now with her loving partner, Sean Eav. Now, as parents all we want is nothing but the best for our children, however, Chao believes that money will be the ultimate key to Gigi’s epiphany that she needs a man more than she needs a woman to be in love with for the rest of her life. Embarrassed by every single detail, Gigi has refused to pander toward her fathers wishes in marrying a man and leaving Sean for just anybody. Chao made his first headline when he started the offer with $60 million HKD and ever since has been increasing the reward to any man at all that has the ability to persuade her otherwise. Which was written after he had already doubled the dowry. Gigi has made it perfectly clear that she is happy with who she is who she is with and what she plans on doing for the rest of her life. This should bring a very important element of parent and child relationships. If you truly love your child more than anything else on the planet, no matter who they are or what they become, you should love your child no matter what. Maybe if Gigi was a stone-cold murderer he would be singing a different tune but luckily that’s not the case, she’s just a woman who happens to like other women. This simple aspect about a person or your child should not drive you into creating some kind of reward for anyone who can convince them that they aren’t suppose to be this way. Love is a universal feeling that we are all able to feel, no matter what you are.